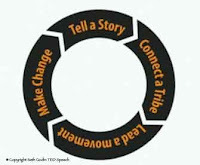 Today after my radio broadcast, I was listening to a video from the TED conference of Seth Godin, talking about "the Tribes we lead". So a few minutes into the speech Seth said, "Heretics are the ones that reject the status quo". I quickly learned that he was talking about me. 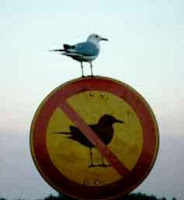 I am the bird on the sign. Heretics can't abide by the status quo and want to stand up and be counted. I actually like the term change agent better than heretic, but the notion is the same, so I'll go with it! If you look back at my musings on this blog, I reject the status quo, that the travel industry revolves around the airlines and air travelers and that the future of technology and the future of online travel has to continue to focus on not only air travelers but vacation travel. Air travel only represents 15% of all travel in the US and only 8% of overnight travel. Vacation travel is only 8% of all travel spending. Yet we as an industry have been OBSESSED with this tiny slice of the pie and bemoan the fact that even that small slice is shrinking. At the end of the video Seth gives out a challenge. I'll let you watch the video and then will say that it is time to stand up and be counted. Be a part of the Drive Market Tribe. Stand up and be counted. Don't be a "sheep walker". Help me tell a story and connect the tribe. Let's lead the movement of this industry out of the "sea of same", commoditization, to an integrated world where we help people travel across town, to life events, to their next "memory" and we help people connect with information, tools and relationships. Right now, whether you are trying to reach people through a retail location, a call center, direct mail or your website, your interaction with them - Customer Service - is what really makes the difference. Engaging your customer and building a relationship is what it is all about. It isn't just about selling them, it is about getting them to truly prefer doing business with you. Check out what Dennis Snow has to say on Customer Service. Apical Resource Group LLC, an innovative travel and hospitality technology recruiting firm, announces that it has entered into a partnership with Solutionz Media, a subsidiary of the Solutionz Group to offer a number of services to its current and future candidates. Solutionz focuses on providing practical tools to solve real life business and personal challenges. 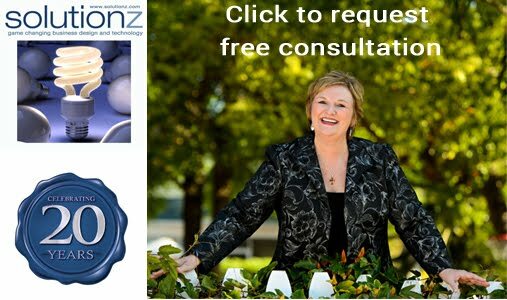 Solutionz is poised to offer new and innovative services to both businesses and executives alike. Its services are focused on supporting work-life transition, along with tapping into entrepreneurial energy. Apical Resource Group LLC. (ARG) is a wholly owned travel and hospitality technology, sales and marketing recruiting firm. Apical focuses on recruiting for mid-level to executive positions and offers a new and aggressive solutions model. For a complete overview or additional information about Apical, please contact an Apical Solutions Representative at 1-770-517-5580 or visit the Apical's Web Site at www.apicalresourcegroup.com. The Solutionz Group is a Tampa-based firm with a consulting arm focused on business growth (www.solutionz.com), a media arm focused on using social media to leave a legacy (www.solutionzmedia.blogspot.com) and a coaching and broadcast arm focused on assisting those in work-life transition (www.solutionzlive.blogspot.com). For more information about Solutionz, contact Chicke Fitzgerald at 1-813-925-0789 or visit one of our various websites. 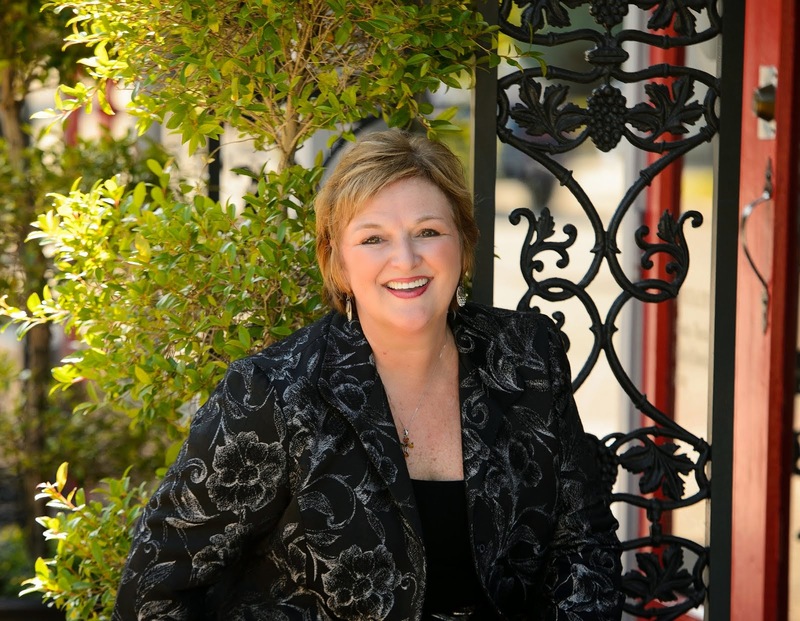 Solutionz founder Chicke Fitzgerald now offers growth coaching by phone to companies and both executive and entrepreneurial mentoring to individuals. She also offers online "reputation management", which includes an audit of your current reputation status and a plan for enhancing your online presence. If you need to grow your business or to fine tune your personal goals and/or you need to get a handle on how to use all facets of social media to best position yourself or your firm, please see the Solutionz Media site for details. Or contact Chicke at 813-925-0789 or chicke@solutionz.com for more information.